Total Carat Weight: 1.14 ct. 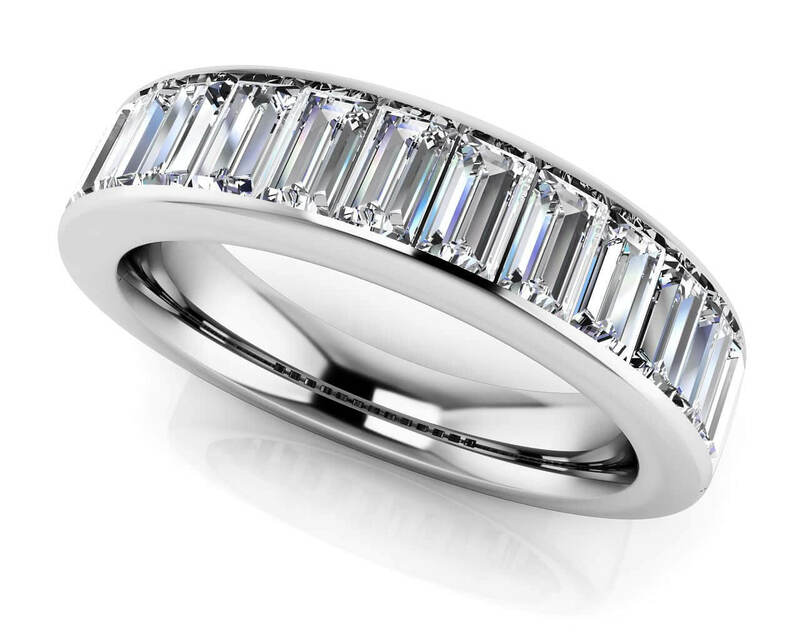 This one of a kind ring features side by side upright Baguette Diamonds in a channel setting. 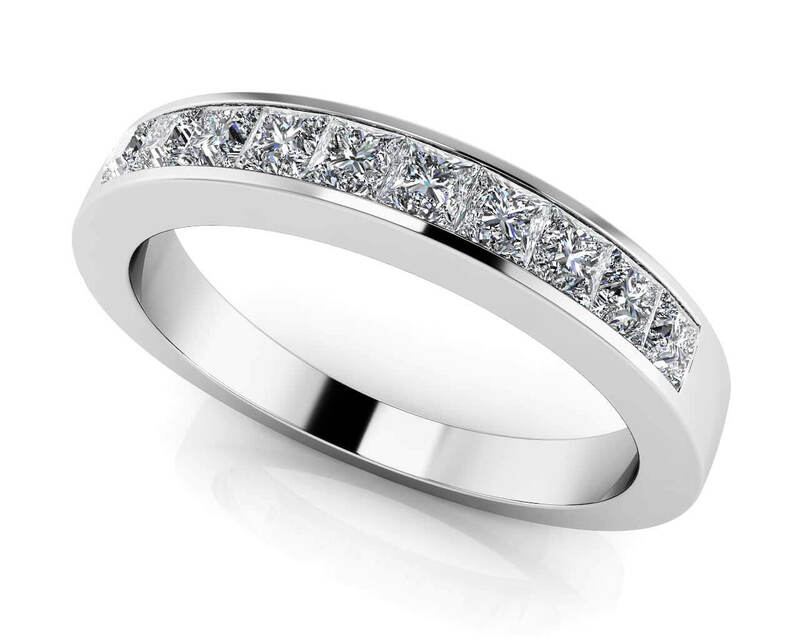 Make a statement with this anniversary ring and customize your masterpiece by choosing the metal type, total carat weight, and diamond quality. Stone Carat Weight: 19X.060 ct.